Netwind Learning Center UNIX IBM Training Course for AIX designed to take a network administrator step by step through the Operating System. Through the use of simulated labs a student is able to perform exercises without having the need to have access to the IBM AIX Server. The AIX® operating system is designed to deliver outstanding scalability, reliability, and manageability. 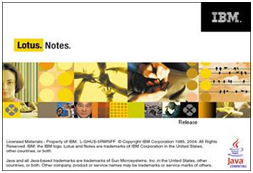 Best of all, the AIX operating system comes from IBM, the world's leading technology company. AIX is an open, standards-based operating system that conforms to The Open Group's Single UNIX Specification Version 3. It provides fully integrated support for 32- and 64-bit applications. The AIX operating system provides binary compatible support for the entire IBM UNIX product line including IBM Power™ Systems, System p™, System i™, pSeries®, iSeries™ servers as well as the BladeCenter® blade servers. AIX also supports qualified systems offered by hardware vendors participating in the AIX Multiple Vendor Program. So, as you move to newer versions of the AIX operating system, its excellent history of binary compatibility provides confidence that your critical applications will continue to run. But scalability goes far beyond simply running on larger systems or faster processors. True scalability requires a comprehensive design that's easily adaptable to changing business needs, permitting you to harness increased processing power with a minimum of disruption. The latest version of AIX Version 6.1 provides new software-based virtualization capabilities known as WPARs in addition to fully exploiting the advanced virtualization and performance of IBM Power Systems to insure that the IBM UNIX solutions that you deploy are scalable and efficient. IBM WebSphere Application Server (WAS), a software application server, is the flagship product within IBM's WebSphere brand. WAS is built using open standards such as Java EE, XML, and Web Services. It is supported on the following platforms: Windows, AIX, Linux, Solaris, i/OS and z/OS. Beginning with Version 6.1 and now into Version 7, the open standard specifications are aligned and common across all the platforms. Platform exploitation, to the extent it takes place, is done below the open standard specification line. It works with a number of Web servers including Apache HTTP Server, Netscape Enterprise Server, Microsoft Internet Information Services (IIS), IBM HTTP Server for i5/OS, IBM HTTP Server for z/OS, and IBM HTTP Server for AIX/Linux/Microsoft Windows/Solaris. Uses 9060 port for connection. Give your employees the most up to date Lotus Notes courses with Netwind Learning center. Our online courses or CBT CDs will provide your employees with all the skills to master Lotus Notes. Our step by step training approach is designed to take students from the beginners level to the advance level. Through the use of our built in simulators students can practice without the need to have the actual Lotus Notes software running on their computer. Review questions after each chapter tests the student understanding of the material before they proceed to the next subject. This course is available as a single user and multi training license. IBM Lotus Software delivers robust collaboration software that empowers people to connect, collaborate, and innovate while optimizing the way they work. With Lotus you can drive better business outcomes through smarter collaboration. Lotus Notes can be used for many collaborative applications, including e-mails, calendaring, PIM, instant messaging, Web browsing, and a variety of feature-rich custom applications. It can be used to access both local- and server-based applications and data.